What primary sourced book R' you reading? Quote Reply Topic: What primary sourced book R' you reading? I love reading primary sources such as the Alexiad of Anna Comnena or the Conquest of Gaul by Julius Caesar. Are you reading one snow- which?? 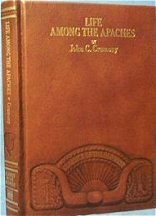 Life Among the Apache by John C. Cremony. 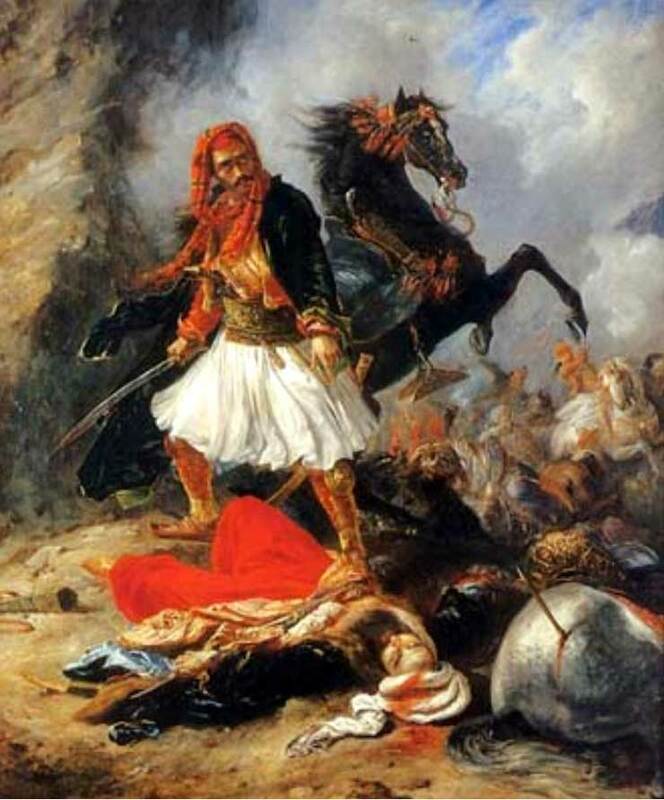 It is a real life account of this man's encounter with these fierce warriors. The author lived in the 1800's so you will hear non-PC terms such as Savage but those were the times. The author is a great writer and he helps you to really see how wild the west was back then and he is very discriptive. There is a scene were Cremony is being chased, on horseback, by a band of Apache Indians. It reminded me of the story in the Alexiad where Emperor Alexis Comnena is being chased, on horseback, by those wild Kelts, a term used to describe western Europeans by the Byzantines. It is full of adventure and I give it a triple star rating and highly recommend it. I could not find an image of the recent copy I got from the library but it shows two Apache warriors and a horse. I read William of Tyre's 'Deeds done beyond the sea' recently, along with Fulcher of Chartres 'Journey to Jerusalem' and Albert of Aachens Historia Iersolomitana, or however its spelt. Was doing an essay though and I needed to analyse and criticise where relevant the sources and how it relates to its coverage of Baldwin I and Baldwin II. Can't say I have any great love for it, I infinitely prefer reading primary sources for more modern events, such a memoirs of the Irish War of Independence and Civil War. Many of the key participants went on to write memoirs (O'Malley, Barry, Breen, Deasy etc.) and its interesting to read their first hand accounts of their experiences. But reading William of Tyre call the Patriarch Arnulf 'the first born of Satan', and him describe anyone he admires as 'that most blessed man' really drains me I have to say! I read William of Tyre's 'Deeds done beyond the sea' recently, along with Fulcher of Chartres 'Journey to Jerusalem' and Albert of Aachens Historia Iersolomitana, or however its spelt. Was doing an essay though and I needed to analyse and criticise where relevant the sources and how it relates to its coverage of Baldwin I and Baldwin II.Can't say I have any great love for it, I infinitely prefer reading primary sources for more modern events, such a memoirs of the Irish War of Independence and Civil War. Many of the key participants went on to write memoirs (O'Malley, Barry, Breen, Deasy etc.) and its interesting to read their first hand accounts of their experiences. But reading William of Tyre call the Patriarch Arnulf 'the first born of Satan', and him describe anyone he admires as 'that most blessed man' really drains me I have to say! "Life Among the Piutes" published in 1883 by Sarah Winnemucca, a native American, is an excellent original source about her tribe and their encounter with the white man. It reads more like fiction than history; which makes it more interesting. I have to buy another copy but if they made this into a movie and did not severely alter it then it would make a powerful epic; it would put Dances with Wolfs" to shame. It talks about an ealier encounter with white people but not the Americans or Spanish; a legend they hold which goes way back in their oral traditions. read and check it out!! Not reading it now, but I always like to recommend Bernal Diaz' Discovery and Conquest of Mexico as the most readable and entertaining primary source that I know of. The language is plain, the author is suprisingly candid and not as subjective as you might expect, and it reads like a good story, even though it isn't a story at all. Looks interesting and I should head to Borders in Tucson to pick it up sometime. I want to read any primary source about the desert Southwest. I should explore, in english, for any primary sources from the Spanish colonization of New Mexico (state) It would be interesting to read about their first encounters with the Apache Indians or other tribes. My usual choices for primary sources are either ancient Roman, Greek or medieval European but my focus has changed. Any primary source would do so who else is reading one? Trying to plough my way through Rikskansleren Axel Oxenstiernas skriftelse och brefvexling, Lettres, instructions diplomatiques et papiers d'etat du Cardinal de Richelieu and various collections of seventeenth-century pamphlets and newsletters, all for the purpose of doing research for my dissertation on the Thirty Years War. While doing this I'm also trying to apply at least some form of methodology, choosing between various sources, evaluating the reliability of sources and making judgement calls on the importance of the material. I've learned so far that this particular brand of Rankean Staatengeschichte is both elating and frustrating at the same time. And helluva lot of hard work.